People often wonder if it's time to get a new phone. That decision can be influenced by many factors, not only personal, but global, such as the time of the year. 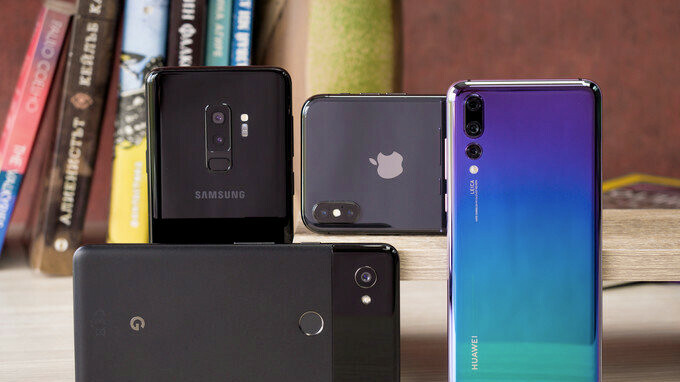 With new models being released regularly and advertisements constantly showing us the latest and greatest features, it's easy to think that your phone has run its course. But often, a new unlocking method, or a camera that takes slightly better pictures at night, are not reasons enough to spend your hard-earned money. We decided to take a lightweight approach on the decision process and made a flowchart to help you evaluate the need for a new device. Just don't take it too seriously. Forget the bloody phone; I need a lawnmower and a top end rebuild for my diesel truck! And... I also want to pre-purchase a cemetery plot; but that's not in the list of priorities right now. Life is short and cruel! G'Day! I like the way you think Georgi, Good Job! Still dont understand why many ppl get new phone yearly. Of course the next generation will always be better, but it does not make yours any crap. They get a new phone mostly coz they want to, not coz they need to. Even a 3y old phone should be almost as good as the last one (at least in Apple's world). Yeah this chart is awesome! Well done. How does battery anxiety decide to buy you a phone? Go get a powerbank. Nah, I disagree. A powerbank is extra weight. Phones should have enough battery to be useful. That is one of the first things I look out for when trying a phone. All the functions are working. Battery lasts the whole day. That's all for me owning an iPhone 7+ & a Moto G5S Plus. So getting a phone just because you want one doesn't suffice anymore? Those folks can just skip the flow chart. If you don't have to ask yourself if you need a new phone, then go for it. It's this simple. 1) Do I have enough money to get the phone I want? 2) Do I have a place to buy, return, or service the phone after decision in step 1 is made? 3) Confirm that it works and will connect to my carrier - then enjoy. The decision matrix in the article was pretty complicated. Really useful chart I'll bookmark it. One of mine is: are you getting the latest updates quick or at all?